Made out of cardstock and ribbon! When you check out Please put in notes the date you need banner by! Do not put day of party put date prior to date of party. Thank you! IF YOU DO NOT PUT A DATE WE CANNOT GUARANTEE YOUR ITEM WILL ARRIVE IN TIME FOR YOUR EVENT!!! 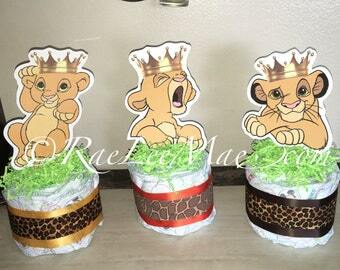 This can be made with Simba, Nala, Timon And Pumba! If you would like different colors please message me! Received the banner today and totally loved it. Thank you so much. Can't wait to use it at our baby shower. 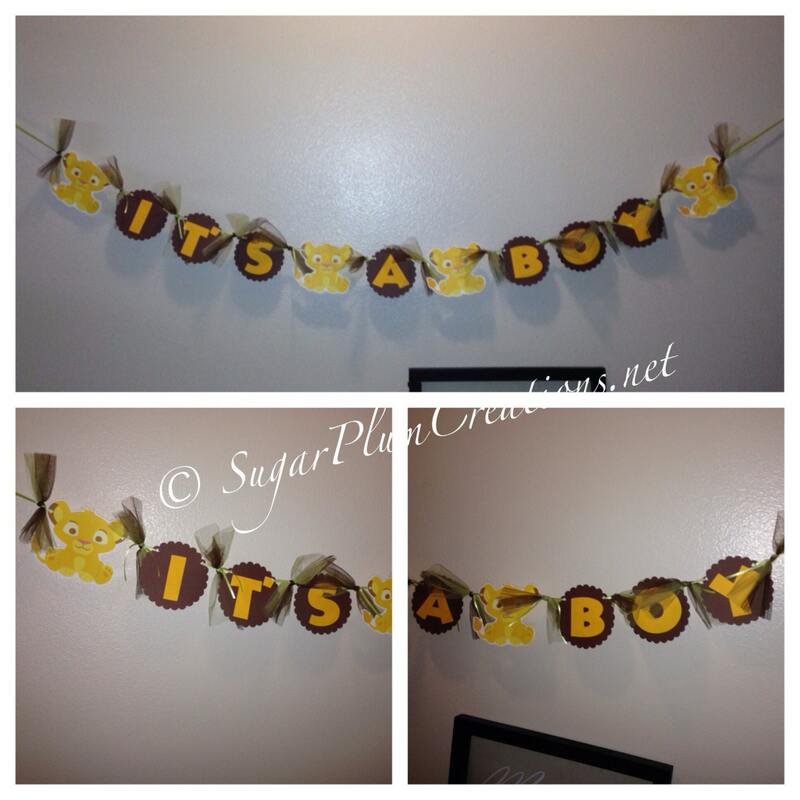 I absolutely love the banner and it was made exactly how I wanted it! They even did a rush job!! I recommend using RaeLeeMae Creations.